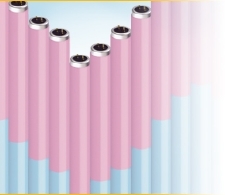 We supply many replacement sunbed tubes delivered and fitted, becuase there are so many different tubes, we have made it easier by supplying only the best. NEW 0.3 TUBES RING 07714 898180 NOW FOR PRICES ! To promote safe tanning, European Legislation is advising a limit of 0.3W/m2 output for all sunbed tubes. This safe tanning advice is based on scientific advice to European Member States, which represents the intensity of the midday sun in the summer in the Mediterranean. In other words this safe limit is intended to match sunbed output to the maximum that human Caucasians have biologically evolved to cope with. The making available to consumers of a sunbed in the context of providing a service is deemed to be a supply of a product under the General Product Safety Regulations 2005 (GPSR), and as such the product should be a safe. It is an offence to supply a dangerous product, namely one that is not a safe product. Technical interpretation of what makes a sunbed a safe product is taken from relevant European or National Standards, which in this case is the aforementioned SS EN 60335-2-27. This standard was amended to take effect from April 2009, and the relevant amendment reflected authoritative scientific advice issued in 2006 and a subsequent 2007 Declaration by European experts, Le. if your irradiance level exceeds 0.3 Wm/e2 it could be deemed as a dangerous product under GPSR. At this stage any action proposed by local council Trading Standards will be advisory, and salon owners will be given a reasonable period of time to make the necessary actions to rectify the problem. However, should salons owners not take positive steps to rectify sunbeds, or alternatively to remove them from service, a more formal action may be taken in the future. Please check with your local councils for further details. If you are not in a position to convert all of your sunbeds at once, we advise that you set out a programme for 0.3 conversion beginning with the next sunbeds to require routine re-lamping, and converting the other ones as they become due for new lamps. Please call us for further details of lamps that compliy with these regulations. We also offer part used ACTIVE TUBES, because we change our tubes early, they still have years worth of life left, excellent tanning power at affordable prices ! PRICED FOR SALE IN LOTS OF 8 OR OVER. 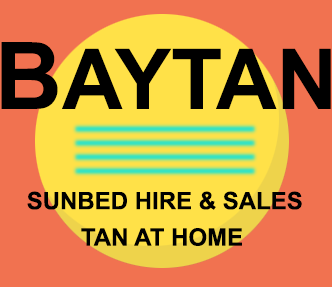 Most home tanning sunbeds will only be 100 watt therefore you can only fit a 100 watt tube, salon sunbeds normally use 160 watt tubes if 6 ft or 180watt to 200 watt if 7 ft tube, you can fit a 160 watt tube to a 100 watt sunbed but it will only run at 100 watt power. There are tubes on the market up to 250 watt but they will only run at the power of the ballast that powers each tube or lamp, 95 % of the time will be 100 watt or 160 watt.